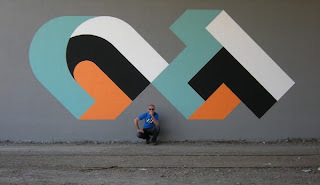 Italian artist CT has developed a fresh new style of graffiti in his home town of Torino. Foregoing the over-complicated and enigmatic patterns of the past, CT focuses instead on a simplified boldfaced approach to graffiti. 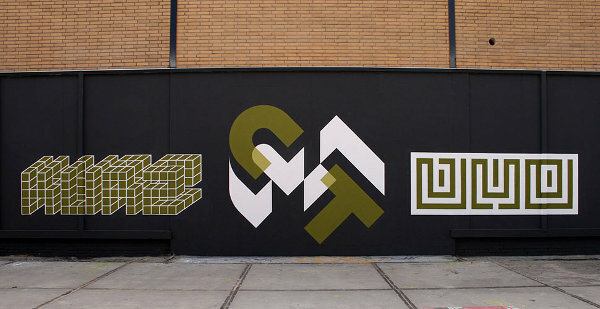 His work is a play on bold fonts, straight angles and bubbly curves. To the passer by, CT’s graffiti may be confused with a company logo instead of an urban signature. 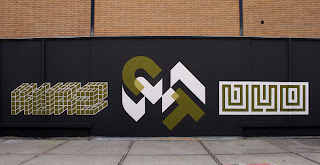 These tangram-style bombs appear on walls throughout Torino and Europe as well, where CT has generated some worthwhile acclaim for his work. To learn more about CT, hit the gallery below, and visit ekosystem for an artist interview.